Location: Just to the south of the St Melyd Golf Course club house. 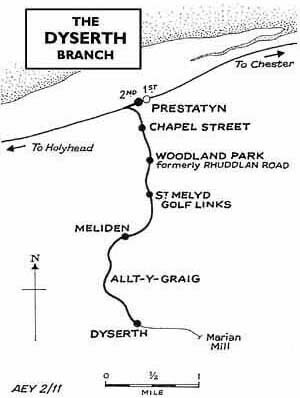 Notes: St Melyd Golf Links station was on the 2½-mile long Prestatyn to Dyserth Branch. The line was opened in 1869 by the London & North Western Railway (LNWR) to carry lead and haematite from mines in the upper Prestatyn Valley down to the Chester and Holyhead Main line at Prestatyn. A passenger service between Prestatyn and Dyserth was introduced in 1905. On 1 January 1923 the line became part of the London Midland & Scottish Railway (LMS). 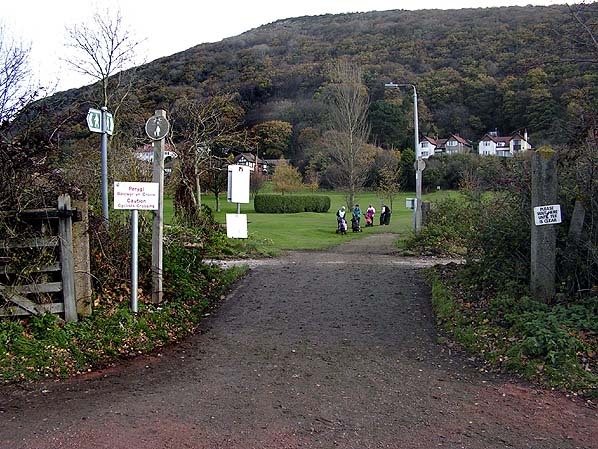 The LMS opened St Melyd Golf Links on the 1 October 1923 to serve golf course patrons. It consisted of nothing more than a short low level platform east of the line. Although in the early years the passenger service was well patronised, by the time St Melyd Golf Links opened competition from motor buses had started to have an effect. The General Strike of 1926 made the situation even worse, and the LMS withdrew the passenger services on 22 September 1930. Even after 1973 occasional trains still passed through but the traffic had ceased by 1980 and the track was lifted in that year. Attempts were made to re-open the line as a preserved railway and the local authority even bought the trackbed to assist with this aim. 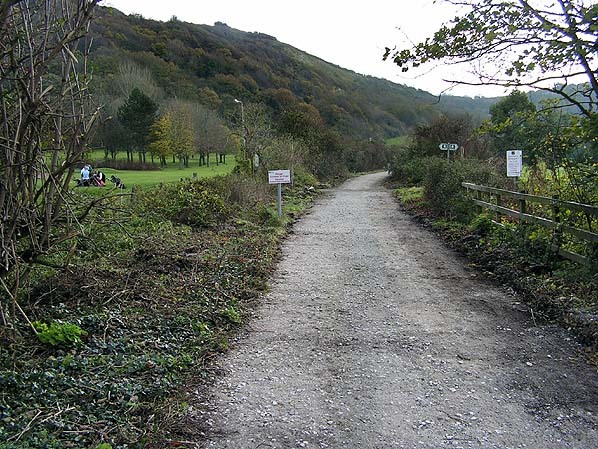 Eventually the plans came to nothing and the trackbed was developed into a footpath. The site of St Melyd Golf Links looking south towards Dyserth in Novenber 2010. The stopping place was nothing more than a low platform. 1912 1:2,500 OS map (with station added). 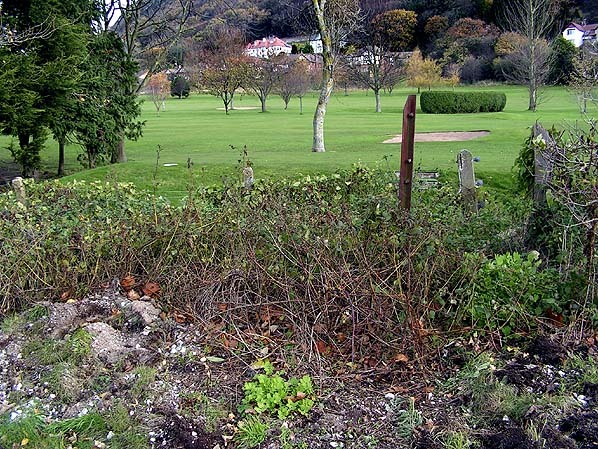 Looking north towards the site of St Melyd Golf Links in November 2010. 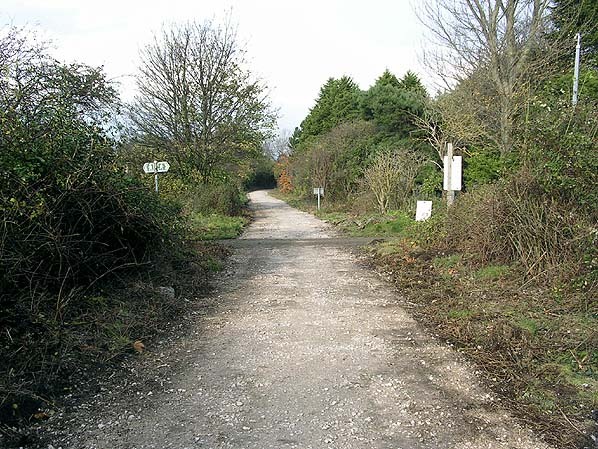 The stopping place was on the far side of the footpath which can be seen crossing the trackbed from the left to the right. Concrete gate posts from a level crossing at St Melyd Golf Links. Passengers would have accessed the halt from the golf course via these gates. The view is looking east, and the stopping place was located on the north side (left of picture) of what had been a level crossing.